Welcome to Campfire Grace, where we explore the freedom God has for us in on-going relationship with Him. 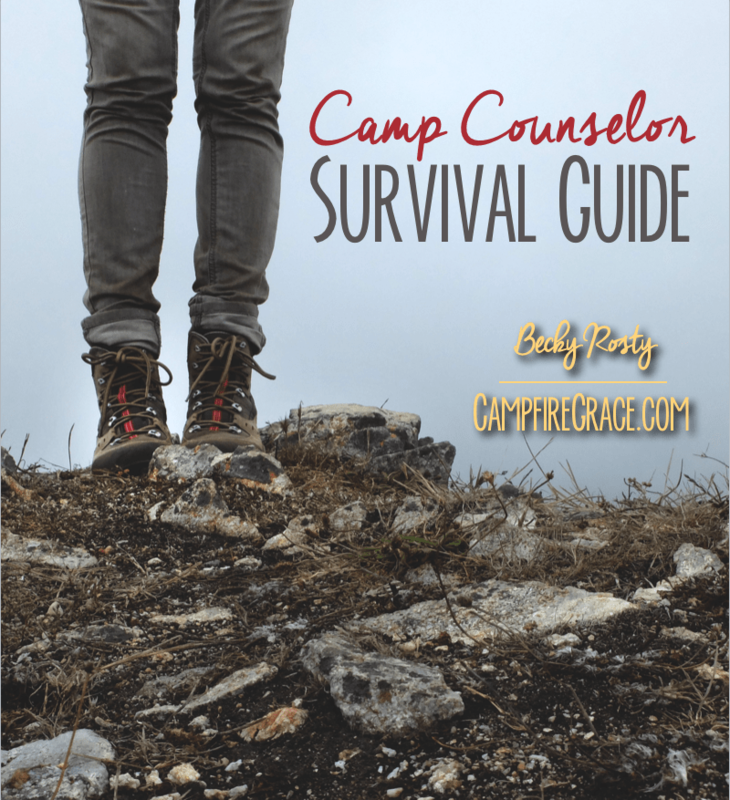 This month, we have been unpacking survival tips for camp counselors and other summer ministry positions. For tips 1 and 2, click here. As a camp counselor, or other summer ministry leader (shout out to my intern friends!!! ), the responsibilities and expectations for constant enthusiasm can make you feel a bit thin (like butter spread over too much bread, as Bilbo would say). All over the Bible, God prescribes fun, rest, and enjoyment. He is not a workaholic (see the 7th day, in which He created rest and satisfaction). He is not a pleasure-killer (see Song of Solomon and try not to blush). Life as a Christian is not just about the Kingdom work. It is also about enjoying our relationships together with Jesus. So take a break, when it’s appropriate. Get off campus or out of town for little while. Don’t feel like you have to head straight for the next church or prayer meeting on your day off. While this can be helpful and healthy, it can also lead to a legalistic and “works based” mentality. The weekend hits and you are ready to unwind. Drop your guard for a little while. The temptation here is that you can check-in your Christian camp counselor hat for a while, in exchange for the incognito-burnt-out-Christian. You might feel justified indulging your flesh for a bit. After all, you’ve been denying yourself all week! I have fallen prey to this kind of thinking many times in busy ministry seasons. We let our guard down. We see that movie. We tell that joke. We check that website. We waste our rest. Your campers might catch you indulging your flesh. You have a responsibility to your fellow staff to encourage them in their faith, rather than inviting (by word or deed) to take part in the world. Taking God-honoring opportunities to rest will be more fulfilling and re-energizing for you in the long run. Emphasizing your burn-out gives people around you the perception that serving God is a negative, deplorable task. God is worthy, not just of your dedicated kingdom-work, but of your authenticity in exhaustion. I’ve got a few more tips for you, so keep your eyes open. And in the mean-time, visit a few other posts about connecting with God, and resting well! 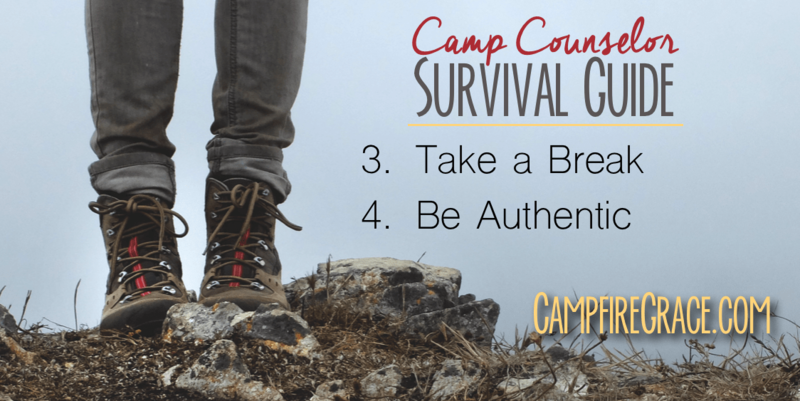 Join the campfire conversation: how do you rest well and maintain an authentic relationship with God in the midst of exhaustion?